One of my favorite type of sessions to book are engagement sessions. 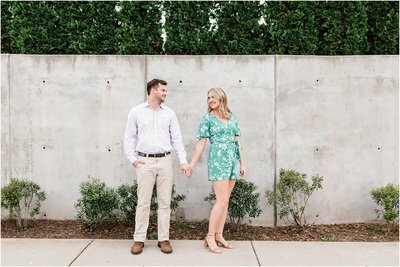 Today, I wanted to share with you a few of my reasons why you should do an engagement session (and this from a girl who did not do an engagement session). This is a great opportunity to get to know your photographer. I get it, being in front of the camera is nerve wracking and you may have a grumpy groom who doesn’t like taking photos, which can just lead to a stressful day. But if you trust in your photographer, they should be walking you through your session and making you feel at ease as you go from pose to pose. When I photograph a new couple, I’ll start with ice breaker type questions to put them at ease. And because of this, I get natural reactions, which leads to a lovely image. But I also take this as the chance to get to know my couple more. Who’s the messy one? Who’s the good cook? Who’s more organized? At some point I try to ask about how they met and how he proposed. I love hearing their story. When their wedding day comes around, we all feel comfortable around each other. After all, your photographer will spend more time with the bride on the wedding day than the groom will, so it’s good to be comfortable with each other. You’ll already be comfortable with posing. One of my photographer mentors is Katelyn James and she teaches about her core poses, which I’ve adopted into my shooting style. I will teach these core poses at the engagement session and when the wedding rolls around, the couple is already pros at getting right into those poses. I find this espically helpful with the groom because he’s feeling confident about already nailing it during the engagement session. 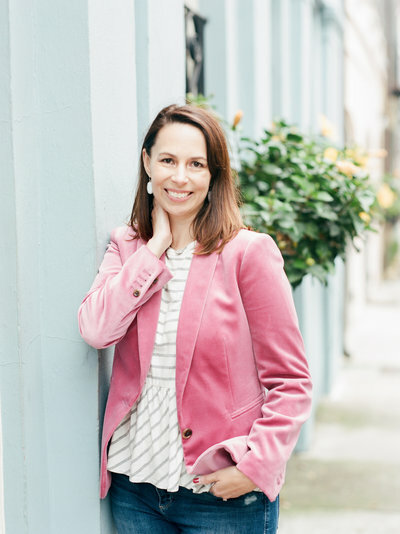 Yes, you’ll have save the dates, but you’ll also have professional photos of you in everyday outfits. I know that might sound silly, but on your wedding day you’re dressed to the max in a beautiful dress and tux, which is a timeless treasure of your story, but I think it’s fun to have photographs in everyday outfits. As I mentioned, I did not do an engagement session before my wedding, mainly because it wasn’t really a thing when I got married in 2007. I think I’ve made up for that with several couples sessions I’ve booked in the last few years. I wanted that engagement type feel in my regular clothes, so I’ve hired some photographer friends over the years and I couldn’t be happier with that decision! Here are just a few examples of how an engagement session can prepare you for your wedding day portraits.